Kolektif House: So much more than an office! 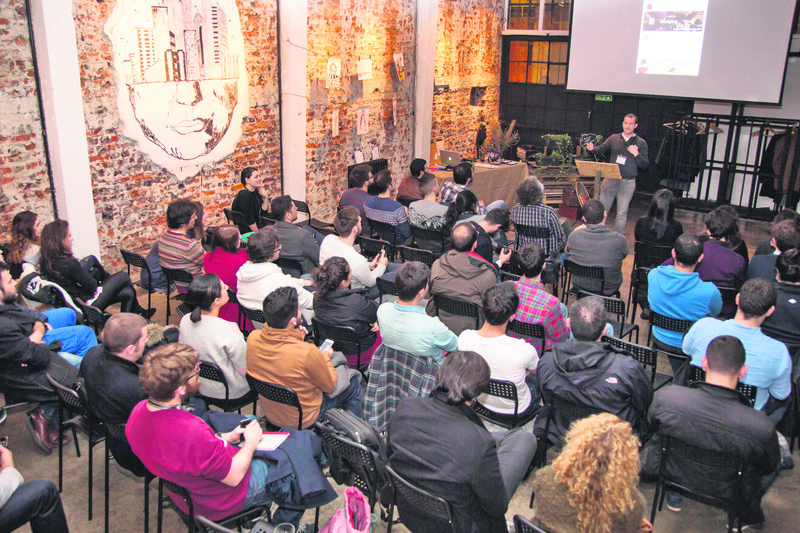 Kolektif House, the innovative sharing workspace collective, is easily the best office for any an expat, freelancer or entrepreneur, combining a comfortable and creative workspace with innovative social and educational events. Following their spearhead location in the 4.Levent Sanayi, Kolektif House has now branched out to an additional venue in Şişhane that promises to be just as hip and happening a workspace for anyone wanting to let their creativity and ingenuity flow in a social environment. Kolektif House, first opened in 4. Levent Sanayi, as a new office concept of providing a creative, productive, social and economic work experience for entrepreneurs, companies or freelancers founded under the philosophy that "strength is born through unity." However, much more than a shared workspace, Kolektif House also offers regular talks, jam sessions and brunches to bring creative minds together on the sidelines. As for the names behind this innovative new workspace concept in Istanbul are actually three Turkish dynamic young "repats" - each studied abroad only to return to Turkey and realize their dream in this union. Ahmet Onur spent two years working in North Africa after graduating from Boston University. He then did a five-month tour of India and Latin America before moving back to Turkey. Civan Orhan was also a Turk who spent years abroad moving to California and studying at UCLA after receiving his degree at Carnegie Mellon. Arda Yiğithan Orhan, who also studied at Carnegie Mellon, went on to work at a number of technology companies, doing research for Bosch in Palo Alto. It was pure luck that while Ahmet was in India he had warmed to the notion of creating a shared and inspiring productivity space. So, when his partners needed a creative space themselves because they had developed an application they were working on, it became a melding of ideas and crossing of paths. 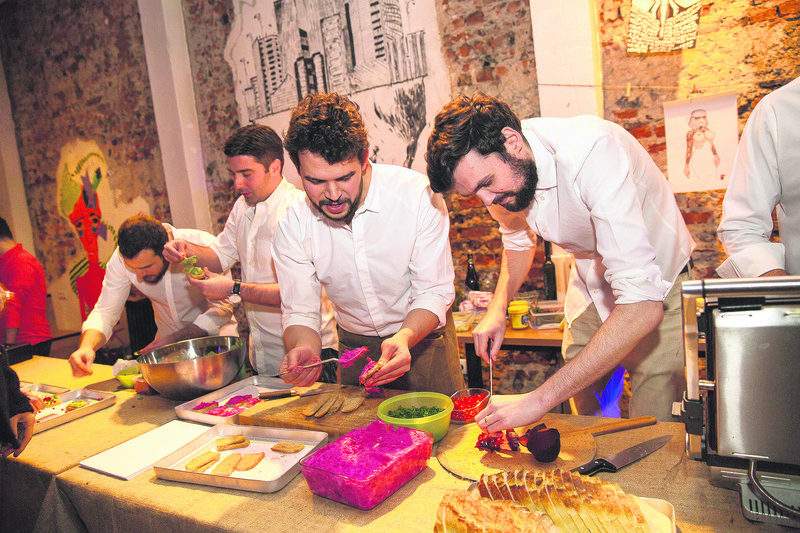 They decided to realize their dreams together and that was the birth of Kolektif House. 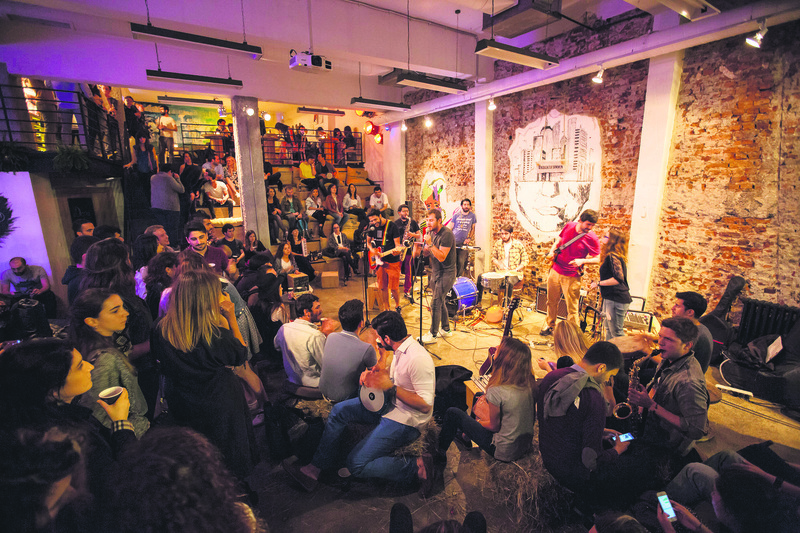 Their flagship is situated in a three-story building in the up-and-coming 4.Levent Sanayi industrial zone and includes KoLounge Sanayi, where a variety of social events, seminars, jam sessions and brunches are held. 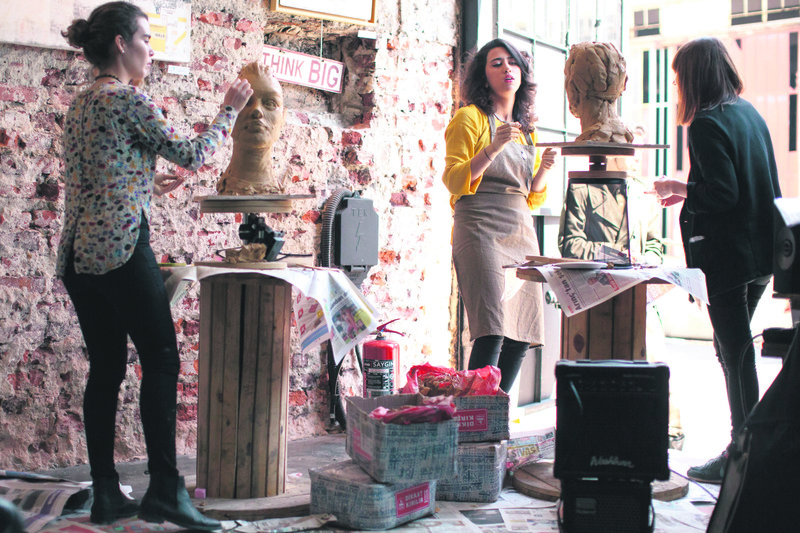 Kolektif House has now opened in a second location in Şişhane on the second floor of the historical Nejat Eczacıbaşı Building, once known as Deniz Palas, that is also now home to the Istanbul Culture and Arts Foundation (IKSV). 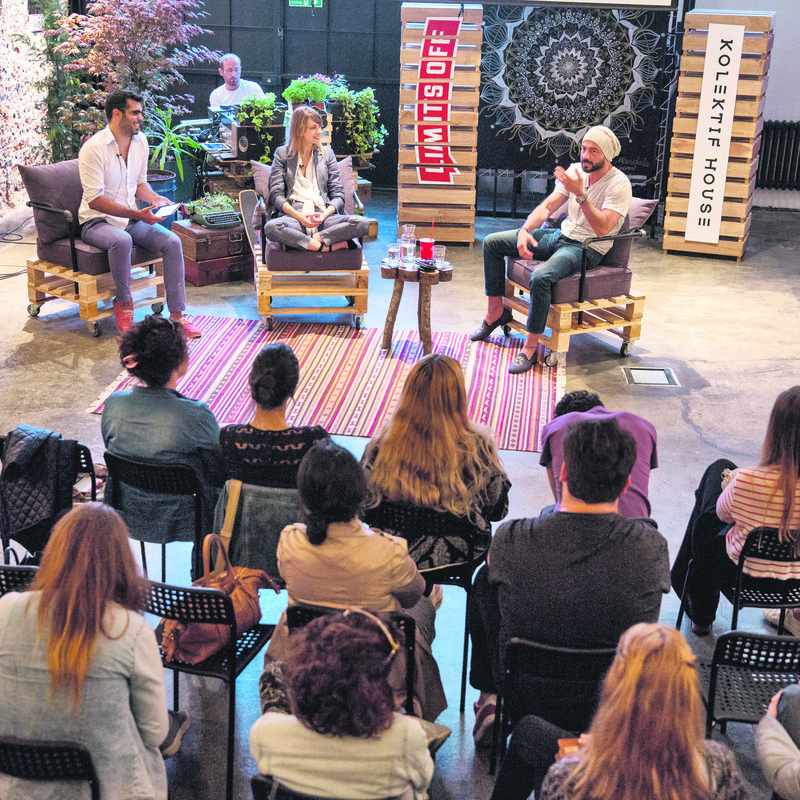 I had the opportunity to speak with Kolektif House Brand and Events Manager Yasemin Yapanar, to tell me more about the logistics and venues on offer. "Kolektif House consists of three different concepts and areas; the KoLounge, KoLounge Sanayi and KoWork. KoLounge areas are the spaces where all the members can work and socialize. KoLounge Sanayi is a venue where not only activities related to Kolektif House are held but also host other brands' events. 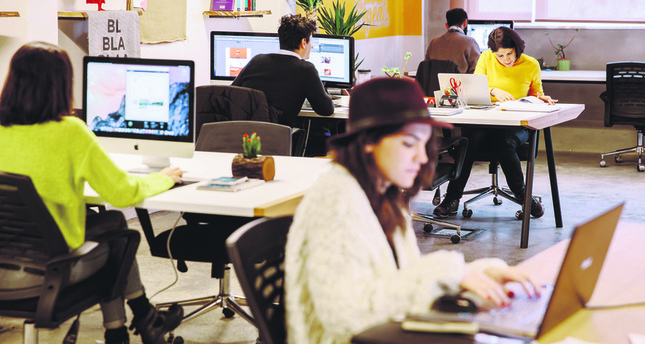 KoWork is the working space for KoMembers, which is what the members of this collective are referred to as and no one who is not a member is allowed to inhabit this space,' Yasemin said. There are three different types of membership, Yasemin tells me, and they are "a fixed table," "a private office" or membership as "a wanderer." "In all cases, membership must be for at least one month. In the 'private office' option, you and your team are given an office with lighting, ac, a table and chairs and curtains and the rest is left up to your own imagination. At a 'fixed table,' you have a chair and table designated to you in an open shared working space and in the 'wanderer' option, you can work at the shared working spaces, in other words KoLounge, at either our Sanayi or Şişhane addresses. This model works better for more mobile professionals, in addition you pay for as much as you use the space," Yasemin tells me. I asked how many people were taking advantage of these innovative workspaces each month, to which she tells me there are 80 members in the Sanayi location and in the new Şişhane branch they have 14 private offices and 22 rotating tables. "This is a dream office space and we also have all of the services you could dream of. Memberships of one month or longer include 24/7 office use, all day coffee and tea, morning and noon snacks, the use of an address, a meeting room, fast and secure internet, valet service, as well as operational services such as professional cleaning and security services," Yasemin tells me, adding that there is also a Monday morning breakfast served, express massages sessions offered at your desk and even breath training and happy hours all in an effort to create a happy working environment. In addition to providing an innovative space to work, Kolektif House also offers a diverse social experience by bringing a wide variety of people from a vast array of areas together in the same workspace. The same office could be shared by someone in finance to insurance, arts to sports, shopping to technology. We design educational, fun and inspirational events that will provide motivation for those aiming to socialize and vice versa as social events for those aiming to work. Some of these events are open to the public, some are limited to members only. Coming up this Saturday, Nov. 14, Kolektif Jammin will take place from 8:00 p.m. to 12:30 a.m. and people are welcome to bring their own instruments to play a collective jam session. The following weekend on Sunday, Nov. 22 from 11:00 a.m. to 5:00 p.m. is Kolektif Brunch, a healthy breakfast, mellow music and happy people. Kolektif Explore is a platform for entrepreneurs and start-ups to exchange ideas and gain inspiration from sharing their projects and Kolektif Talks is a platform where successful entrepreneurs from a variety of disciplines who love their work, share their experiences. Speakers have included Mirgün Cabas, Nil Karaibrahimgil, Nihat Odabaşı, Fem Güçlütürk, Hakan Baş and Tuba Ünsal thus far. Check out Kolektif House on social media or visit their website www.kolektifhouse.co to find out more about membership or upcoming events at this up-and-coming and creative space crossing boundaries of office and social space to make work fun for anyone!